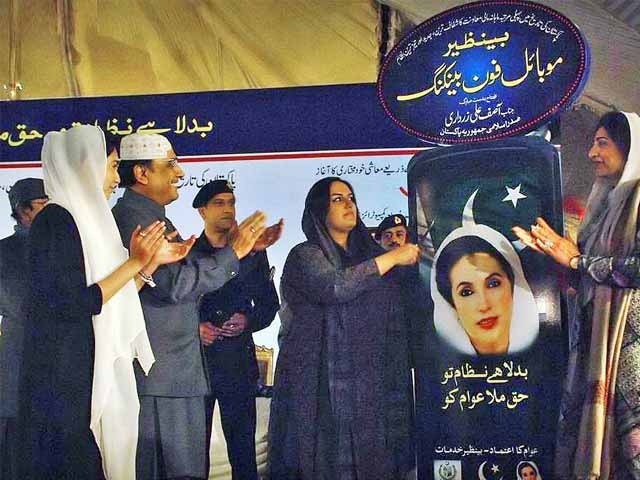 President Asif Ali Zardari inaugurated a mobile banking service named Benazir Bhutto. Solution is aimed at providing mobile-banking solutions to far-flung areas of the country with less developed banking infrastructure. Addressing a ceremony the President said that the value of one card of Benazir Mobile Banking is equivalent to Rs. 3,000. The President said the facility of Women Protection and Rescue will also be incorporated in this Card which will enable the user to register a complaint against any police personnel or any one committing excess. This mobile phone will provide every kind of product, he added. Mobile Banking has been imporved in Pakistan. *facepalm* no thanks, I’d rather prefer a product by the name of easypaisa or UBL Omni for mobile banking. Benazir Bhutto?? Seriously?? @ sumair tumhari akal per salam..